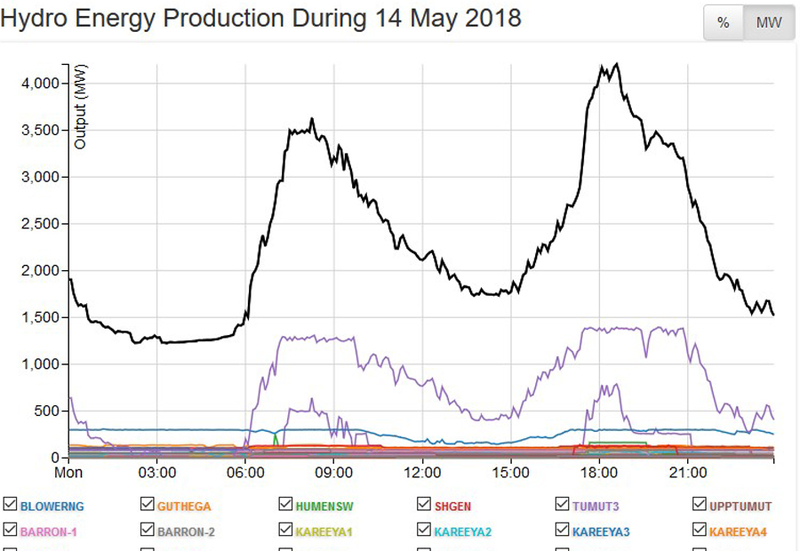 Note also that while coal fired power provides the bulk of the power, these natural gas fired plants are used to add more power to the system during those time periods during the day when consumption rises for the morning peak, and the main evening Peak. 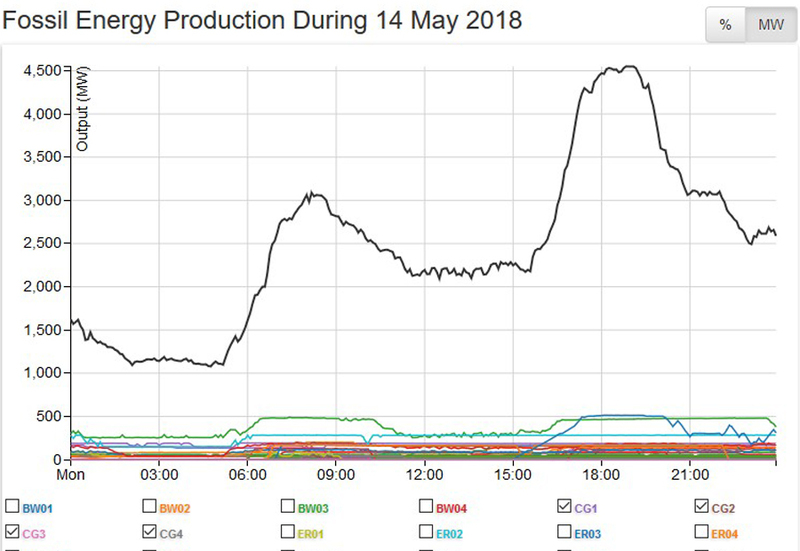 The total Nameplate for all these wind plants is just under 5000MW. 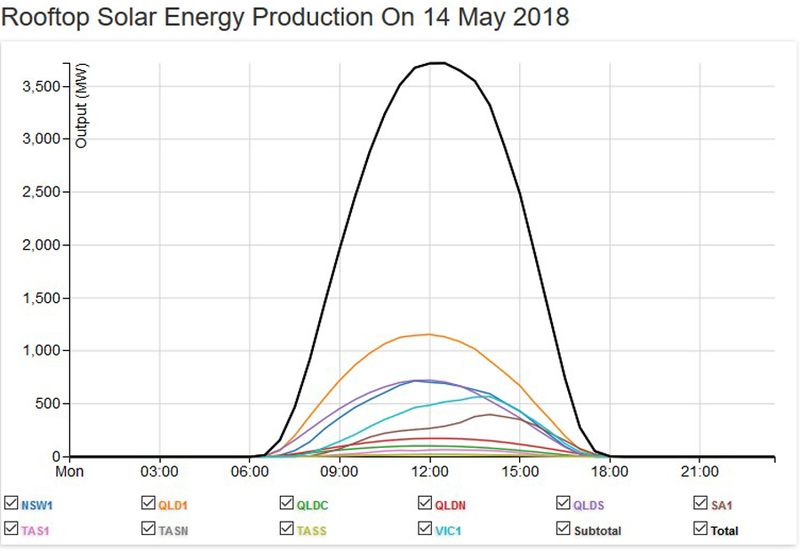 For total power in GWH, multiply the average daily power by 24. 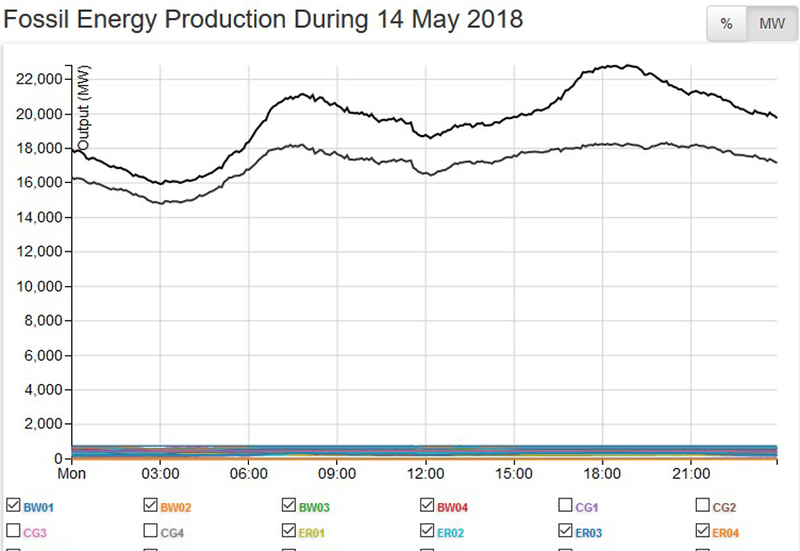 The total power generation/consumption load Curve is now taking the distinct shape it has during the Winter Months. 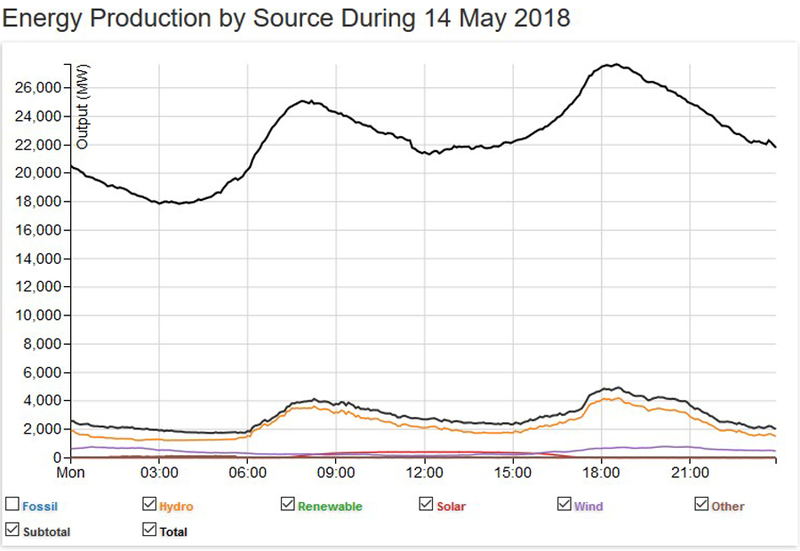 Note the similarity between the Load Curves for the conventional forms of power generation (coal fired, natural gas and hydro) and the main Load Curve for the total. 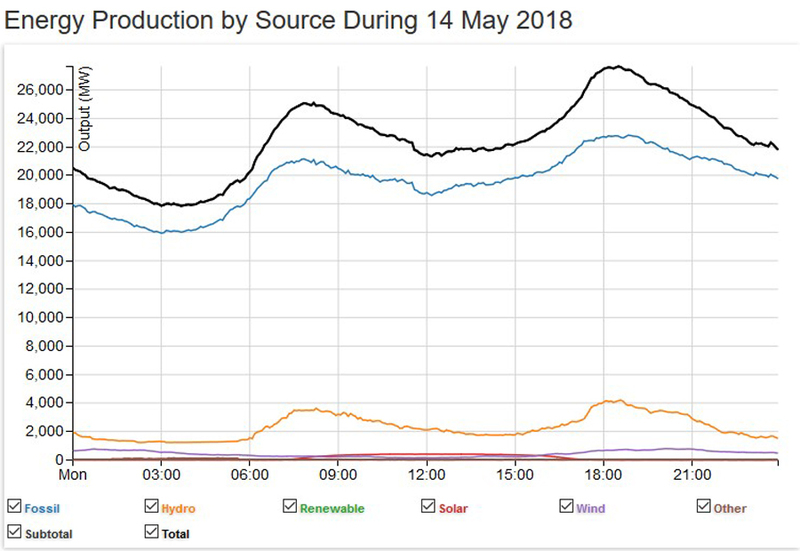 This was a poor day for wind power generation, barely averaging over 300MW and the total for this day indicates a Capacity Factor (CF) of only 6.6%, considering the average yearly CF is 30%. 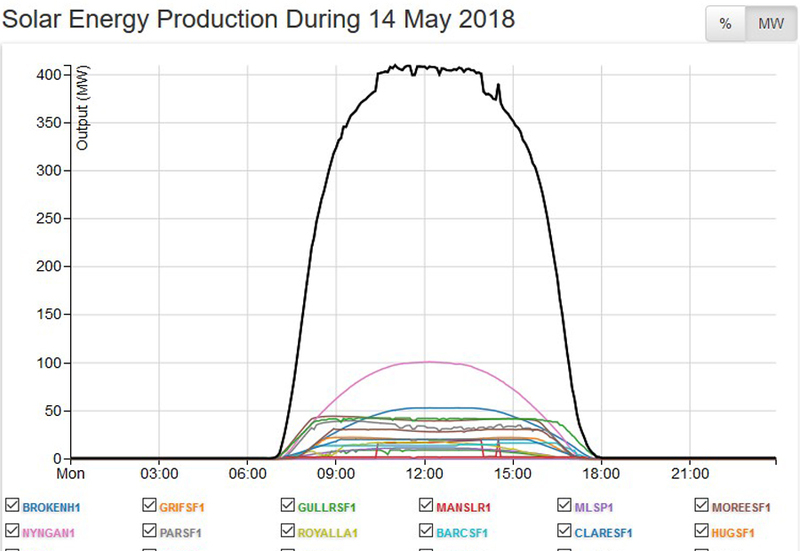 Note that despite a seemingly huge total for rooftop solar power of 7800MW, it only reached a maximum of 3700MW for an hour and a half either side of Midday, and the average even during those hours of generation was only 2370MW, and when averaged across the whole 24 hour period, was just over 1000MW. 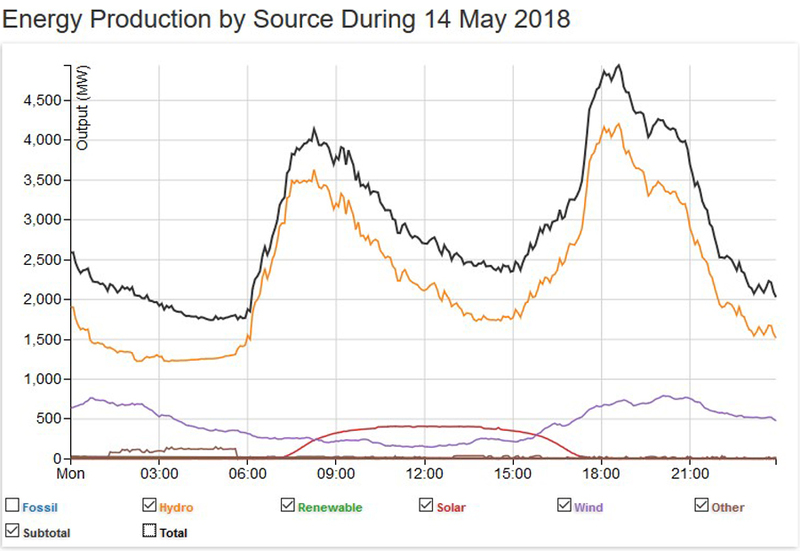 Even that Peak of 3700MW was only 17% of what was actually being consumed during that time of its peak. 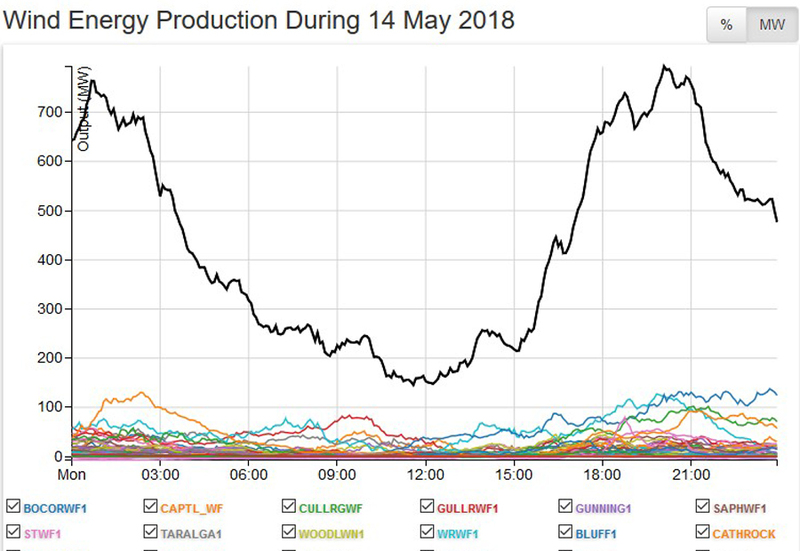 It has no effect on coal fired power as that operates as it always has, and the only difference is that less natural gas fired plants are needed to top up the grid during those hours of operation.